The devil isn't a foolish being as many Christians assumed. The scripture affirmed, "Behold, I send you forth as sheep in the midst of wolves: be ye therefore wise as serpents, and harmless as doves" (Matthew 10:16). Hence if you tend to call Lucifer a fool you're rather making mockery of yourself. Someone who was able to convinced about 1/3 Host of angels and arch-angels in Heaven for a Coup d'état to overthrown his creator, his God and owner of his eternal soul . You dare not call such person a fool. However you can only outsmart the devil though the aid of the Holy Ghost, only if you are willing to hearken unto the tiny audible voice of the Holy Ghost for divine instructions and guidance. Revelation 20:10 "And the devil that deceived them was cast into the lake of fire and brimstone, where the beast and the false prophet are, and shall be tormented day and night for ever and ever" The devil vividly knew that he has no much time. He had already been judged eternally and he knew where he is heading and presently he is dangerously and wickedly recruiting an end-time Ant-Christ and anti-gospel agents to destroyed the only thing that God loveth with all his soul and might; something which always pleases and gives him eternal Joy and happiness and that is — YOU. The devil knew he can't challenge and neither contend with God in battle because merely mentioning the name of Jesus Christ by his co-satanist recruited agent in his kingdom, he always fell from his throne as someone who has not eaten for the past 7 days. However we humanity are his primary target for eternal destruction. It's not because he dislikes or hates us but rather because he desperately hated God and want to ensure that none of his lovely creature ever get raptures when the trumpet shall sang. He want to laugh God to scorn and make horrible jest of the Lord God Almighty for casting him out of eternal glory of Heaven. Presently the devil has utilized some dangerous and effective devilish secret weapon against Christian — Against the first born of God creature and inheritance of God's Heavenly kingdom. 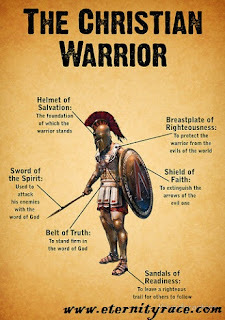 As an end-time Christian it's of a necessity to spiritually and physically equipped yourself with the full Armor of God and self-controls and consciousness because the devil isn't a fool but rather a trickiest, trade by barter and a deceiver. 9 And saith unto him, All these things will I give thee, if thou wilt fall down and worship me. 10 Then saith Jesus unto him, Get thee hence, Satan: for it is written, Thou shalt worship the Lord thy God, and him only shalt thou serve. 11 Then the devil leaveth him, and, behold, angels came and ministered unto him"
Many Christians find it difficult to fast and pray, food bulldozers and sleep bulldozers. 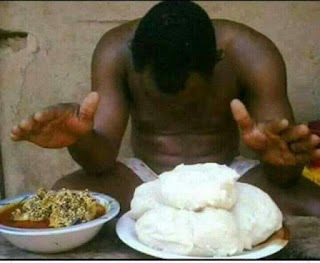 They can eat 5 Plate of Fufu and slept as an heavy truck, while some can snore as a frog while sleeping. Even when you carry them outside they will continue in their heavy bulldozer snoring. They can slept off even while standing during night vigil. While some haven't even created time to pray and fast since the commencement of this year. How can you overcome trials, temptations, sexual seductions and lustfulness if you don't sacrifice food and sleep and keep watchful while others are sleeping? READ ALSO: The Cause OF Prayerlessness In The Life Of Christian. Many Christians in their sojourned to celestial city of Heaven has never completed the reading the whole Bible in a year. 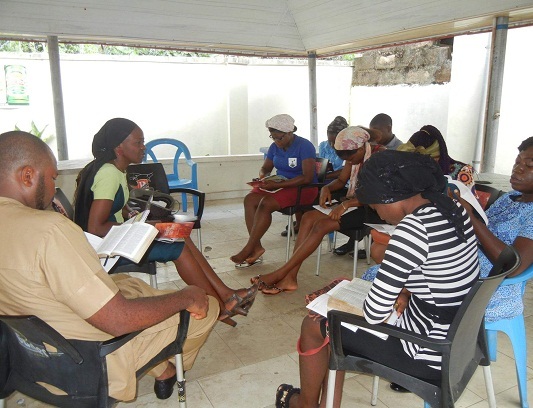 They always find it difficult and boring to task themselves in the reading a whole chapter of the Bible each day but ever ready to consumed their precious time in reading of newspaper, magazine and loves stories. 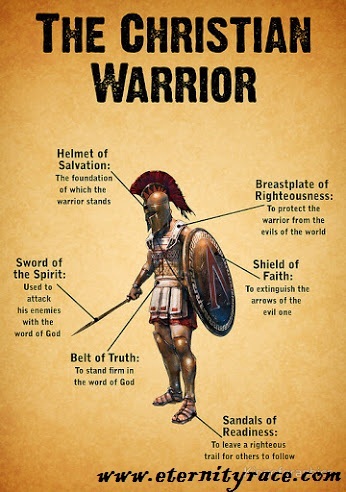 You call yourself a good soldier of Christ just because you have mastered-mind how to preach the gospel in your neighborhood and social media, Yet, you find it terribly hard to complete the reading of the Bible in a year. I mean, how are you going to defeat the devil who understandeth the constitutional right written in the scriptures? 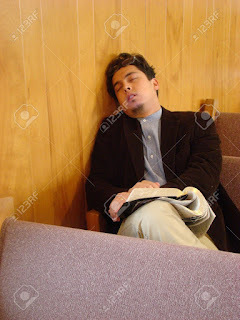 Many Christians can forfeit Church weekly activities due to business, jobs, football matches (premier league), movies and ceremonies. While some are ready to died for the sake of church leadership post due to their dubious mindset in siphoning church funds and to exercise their egotistic pride in the church. They can lie, gossip, backbite and slander anyone who dare oppose their opinion or suggestion due to their egoistic quest for Church leadership. Moreover, in most cases if you dare removed them from church leadership post, they might forfeit church service. What about the ushers and church accountants? They are very smart and knew how to siphoned church money into their privates accounts and still jumping in joy of making Heaven. What about super-glue handy and stingy Christians? They don't give a damn about tithe. 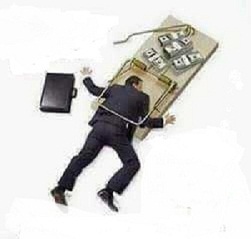 They assumed the pastors and their children are criminal who venture in embezzlement of church tithe. Hence for this reason they don't see the vital need to pay their tithe in the house of God. 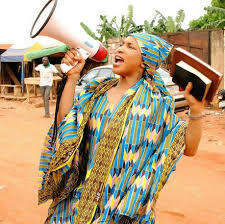 They will prefer giving penny to the motherless home and beggar as an exchange for tithe payment — Stingy Christians. What about fashion? Some Christians women are ready to spend their last penny on makes-up, jewelries, attachment and fashionistas due to pride. Suddenly they will ponder in their heart "heh, i will wear this cloth and shoe for tomorrow church fellowship, let me go and shew-off this latest design. Let me go and unveiled my nice hair-style to them". 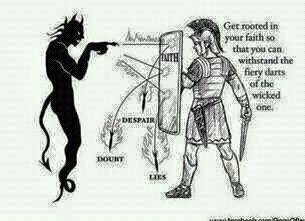 I mean, how are you going to overcome the devil with all these pathetic mindset which Christ rejected? READ ALSO: The Danger Of Women Worldly Dressing And Artificial Hair. Please my beloved one in Christ, i encourages each and everyone of us to get back to godly track which leadeth unto Calvary because the devil isn't a fool. He has not given-up hope on you. He still believe and much hopeful that you can still fall from that mountain-top of godliness. Therefore, don't give any loophole to the devil because once he captured any golden chance, he will certainly migrates and extend his diabolic empire of dominion in your life. You must always cultivate the act of been in God’s presence, attends church mid-week activities, fellowship, retreats, crusade, night vigils and programs. This will serves as catalysis toward your spiritual growth. It will widen your knowledge’s about the scriptures, gives you an insight-logs about scriptures quotations and how to assemble them together while waging an intercontinental war against the kingdom of darkness. You must cultivate the habit of praying privately and fasting at least once in 2 weeks. You must always ensure perfection and don't relax just because the Lord has broken the yoke of marital stagnancy or poverty in your life. The devil isn't at rest and neither all those rapid marine agents that filled your neighborhood and church. They are always striving for expansion and aiming for demonic ranks and higher powers. I pray that the Lord will use this piece of info to revitalized the spiritual life of someone today in Jesus name. Nevertheless, i hope below popular story of a pregnant deer will help to strengthen your spiritual faith and commitment unto God because been a Christian is war. You are a primary target to the kingdom of dankness and you must not give space to the devil to strikes. Your faith must be active and functioning. In a forest, a pregnant deer is about to give birth. She finds a remote grass field near a strong-flowing river. This seems a safe place. Then suddenly labour pains begin. At the same moment, dark clouds gather around above and lightning starts a forest fire. She looks to her left and sees a hunter with his bow extended pointing at her. To her right, she spots a hungry lion approaching her. 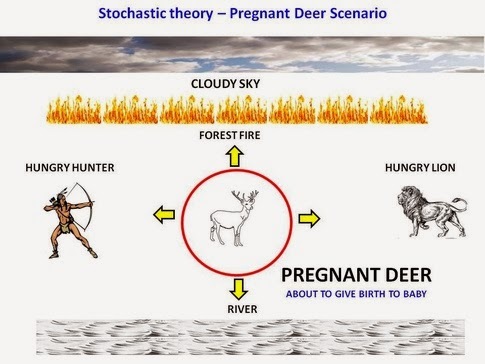 What can the pregnant deer do? Remember she is in labour!! Lightning strikes and blinds the hunter. He (the hunter) releases the arrow which zips past the deer and strikes the hungry lion. It starts to rain heavily and the forest fire is slowly doused by the rain. Check the circumstances that took place above and ask yourself whether the deer had any influence in the chain of reactions that happened to her enemies right in front of her very eyes. In our life too, there are moments of choice when we are confronted on αll sides with negative thoughts and possibilities. What we must not do is take our eyes off the Christ Jesus. We must remain focused on the issue at hand. Where is my spiritual focus? Where is my faith and hope in Christ? In the midst of any storm, do keep faith in the God's always. He will never ever disappoint you. Remember, he neither slumbers nor sleeps!! The strong faithful person in the Lord knows how to keep their life in order. Even with tears in their eyes, they still manage to say "I'm ok" with a smile. I believe you are a strong person. That was why you encountered with this edifying messages in order to encourages and charges you to remains fit in Christ — The solid rock. 0 Response to "Top 3 Devilish Secret Weapon Against Christian"